We have 5 contests to draw the winners for today! Let's get started . . .
Out of 448 entries, the winner of the ThermaPAK HeatShift Laptop Cooler contest is . . .
Out of 568 entries, the winner of the Baskin-Robbins GC contest is . . .
Out of 151 entries, the winner of the Bottle Tops contest is . . .
Out of 74 entries, the winner of the National Geographic Kids Magazine contest is . . .
Out of 348 entries, the winner of the Energizer 24pk Battery contest is . 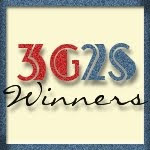 . .
Congratulations to our 5 winners! I will be sending out official email notifications right away. Please respond within 48 hours to claim your prizes. Remember that I always answer to let you know that I've received your information. Thank you to everyone who took the time to support these sponsors!